Routes 14 and 15 have plenty of Trainers just waiting to battle you. Take along a few items that will keep your Pokémon strong for the entire journey. 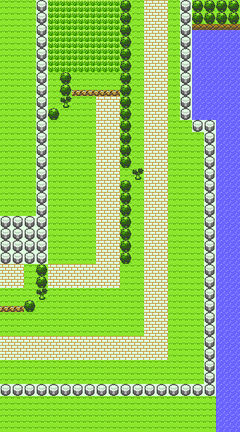 If you're following this walkthrough, you'll be taking the long way back to Vermilion City, and once again, it's worth it. Routes 13 through 15 are the only places in the game where you can catch a Chansey. 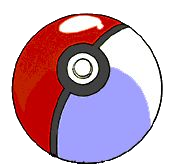 There are a bunch of Trainers here, so be prepared to battle. At this point in the game, they shouldn't be giving you too much trouble. Cut down the tree blocking the way to reach the girl in the grass. She is willing to trade her Aerodactyl, the only one in the game, for your Chansey. It hard enough to catch one Chansey, but it's not a bad trade-off, so you may want to try for a pair. Trade the extra one to the girl in the grass for her Aerodactyl, as this is the only way you'll get one in this version of the game. The ever-adorable Chansey is just as rare in Gold/Silver/Crystal, but now it's even better. It starts with Softboiled and can learn new attacks like Egg Bomb. It can also evolve, based on happiness, into Blissey. Blissey has pretty much the same stats: a ton of HP, high Special Defense, moderate Speed, and zip in the way of Attack and Defense, but with a better Special Attack. It's still a healer first and foremost, though. Aerodactyl is the only fossil to appear in Gold, Silver or Crystal, and can only be received in a trade for Chansey. Its astounding Speed and beneficial combination of types are unchanged, and now it can learn a Rock attack (Ancient Power at level 29). It's a great Pokémon, and you can teach it Fly and travel in style. This page was last edited on 22 October 2018, at 14:40. This page has been accessed 123,737 times.